Phantom Pumps offers engineered systems pump solutions that cover a variety of industrial applications that require centrifugal pump or positive displacement pump equipment. We manufacture pump package system equipment that meets or exceeds the highest ANSI and other industry standards, and we ensure adherence of our quality assurance requirements by assembling and packaging all products in the US. Engineered systems pump related costs in chemical processing facilities and operations can often be reduced by replacing worn-out or broken Durco pumps with high-quality chemical process pumps from Phantom Pumps. Better still, repair and maintenance costs are typically lowered when service technicians substitute Durco replacement parts with compatible Phantom Pumps parts in their pump package systems. Our parts department specialists are always ready to help cross-reference manufacturer parts and equipment to Phantom Pumps model numbers. 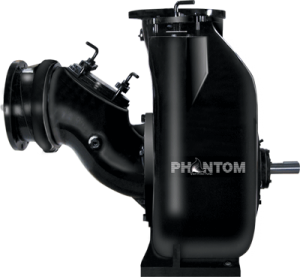 The superior quality pumps from Phantom Pumps are often substituted for name brand pumps in engineered pump package system designs. Phantom Pumps chemical and mechanical application engineers can match our pump specifications with your facilities’ unique project requirements as well as with your other system components such as mixers, drives, control boxes and more. Our global network of Phantom Pumps distributors are happy to provide engineered systems pump support to local clients in Maine, Michigan, New Hampshire, Virginia, West Virginia and beyond. Our distributors have the necessary experience and expertise to provide start-up assistance along with continued service and support to keep your fluid processing operations running smoothly and efficiently. Our distributors also carry a complete stock of pumps and parts and are usually available 24/7 when processing system breakdowns occur. Contact us today to learn more about our pump solutions or request a quote on one of our compatible centrifugal pump products.